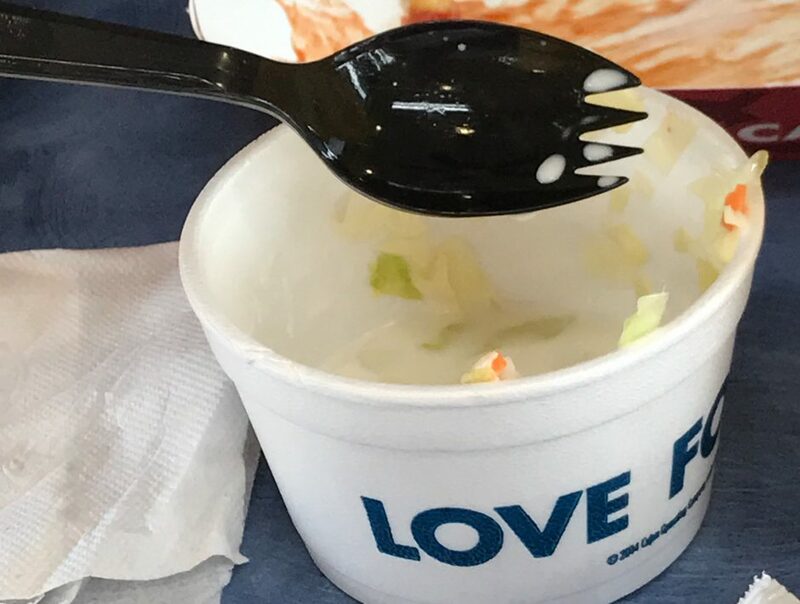 1,000 new FM “stations” to save AM | America loves Sporks! The FCC gave AM stations an opportunity to request an FM translator without requiring them to buy an existing license. Around 1,000 licenses have been applied for. When this process is complete, most AM stations will be heard on FM unless either the AM station is derelict or is located in a big city where no FM frequency is available. This entry was posted in FM Translators, Saving AM radio, The FCC. Bookmark the permalink. How odd this world we live in is. I grew up in the midst of the AM vs. FM battles. I took the side of FM. Now we have more and more AM stations on FM. Makes your head spin a bit. Fred had mentioned that the average contributor to the site is in the “mature” age group. As such, many readers may be interested in the new deal from T-Mobile for people age 55 or older – two lines for $60 / month ( an average of $30 per line) with unlimited calls, texts and high speed data that is not throttled. That is important because it means that you can use you cell phone to stream all of these 1,000 stations and many more as you drive (most car radios have a bluetooth connection for audio, or will accept an AUX audio input from your phone). I haven’t found an app that I like. I mostly use the iHeart app. It has a terrible interface but it great for automatically restarting a stream if you lost an internet connection and it also has a good buffer size so that you seledom lost a connection. I found out that the unlimited tethering is 3G – about 3x as fast as the old 56 k dial up modems from the 90s and good enough for audio and “standard tv” quality video. To bump that up to the 4G speed of the phone’s connection, it is an additional monthly fee. You will probably never need it, but if you are going on a working vacation, you can sign up for a month and then cancel it when you return without any transaction fees. One thing I am looking at is a very directional rooftop parabolic 2.4 GHz WIFI antenna. Amazon sells one with 21 dBi of gain saying “This 21 dB Wi-Fi is the compact parabolic antenna which can provide up to 5 miles of signal transmissions and receptions (provided proper height, obstruction clearance, power and antenna on other end). ” They also have one with more gain at 24 dBi. They cost $49 and $67 respectively. I live on a hill about a mile from a McDonalds, and several other stores with Free WIFI. As a kid, I always enjoyed playing with radio antennas to see what signals I could get. It would be fun (and useful) to see if I could connect to their free WIFI. Other parts are required and I would not do it for normal internet usage, but as a backup in case I lost my mobile data connection for some reason. I would note that I would not want to use it for any sensitive applications such as banking unless I had a VPN, they they are now down about the price of the antenna for “lifetime” access. Just some fun ideas for people that like to play with radio, antennas, and reception. In 2004, I spent time with someone who literally lived on top of a mountain. While she had a phone line and electricity, she was much too far for DSL and no rational person would have spent money to get high speed service there. Satellite internet is inherently horrible because of the latency of at least half a second. Low orbit satellite (ie Iridium) is intended for extremely remote access, and not high speed – and costs a lot. The solution turned out to be exactly what you described. A local internet provider was creating a mesh of customers with parabolic wifi dishes. Having access to such a high vantage point, he probably would have given her the internet for free. The dish was pointed at the next mountain ridge over, which had to have been several miles away. It worked fine. It is a little susceptible to signal loss when it rains, and the mesh becomes vulnerable to going down from power issues at nodes, but the bigger the mesh, the less that would matter. I have now converted my T-Mobile plan to this one. The old plan I had was 10 GB per month of high speed data, but data for the iHeart app, youTube app and apps of their business partners did not count as usage, so I mostly streamed through the iHeart app. As I had indicated, that app has a number of shortcomings, popups, page changes, lots of clicks to get to your favorites, and more issues. What it excelled at was keeping the stream flowing as you traveled in your car. I had tried a number of different Android apps and they would all lose the stream and require a manual restart. Not only was that frustrating, but not something you can do when you are driving. Now that I was freed from the data cap, I did a deep dive and found an excellent Android solution that solves both the iHeart shortcomings and the issue of automatically restarting streams. I installed two free apps and an loving it. The first is Tasker, the most popular task automation app on Android, and the second was Intent-Radio. Intent-Radio provided means to control the built-in Android audio player and automate the retries when a stream is lost. It sounds complicated, but it is not. Google Tasker and you will find warnings saying that it is geared toward programmers. Have no fear, Intent-Radio included a project you can import into Tasker and you will be up and running in no time. That project includes streams for four European stations. You just replace them with the steams of your favorite stations. Many stations, such as Radio Phoenix international have a page that list their steams. Use the winamp streams or streams ending in a .pls or .m2u and you should be golden. As a bonus, that Tasker app lets you automate all kinds of things. For example you can have your phone text you its geo-coordinates when you text it a secret code that you choose, have it text your spouse when you arrive at your business destination…. and lots more. Those sorts of projects will require more time, probably including watching youtube videos of people that did them. I’m not going to make this a blog of my trials and tribulations with Streaming Radio, but I did want to share something I should have mentioned above. I had wasted some time trying unsuccessfully to import the Intent-Radio project into Tasker. The solution was simple. When Tasker installs, it installs in “beginner” mode and that mode does not allow you to import projects. I went into the settings and then preferences and unchecked the box next to “Beginner Mode” and the import went fine. I also forgot that I had paid $2.99 for the Tasker app- it is free for the first 30 days so you can try it before you buy it. Lastly, I had uninstalled an app I had used for the last 5 years called Llama. It learns your location by your the cell towers that your phone can see from your home (or any other location you are interested in) and then allows you to automate from there. I had used it to turn on and off my GPS and WIFI. Without it, I ran into an issue where I would lose my audio stream when driving because my phone was connecting to various WIFI networks along the route. I solved this WIFI issue by telling the phone to “forget” all the open networks it had previously connected to. I also created two new Tasker profiles to turn off my WIFI when I am more than 500 meters from home and turn it back on when I am less than 500 meters from home. The task I use is the newer “locate” Android function that did not exist when I had started using Llama. I love the rock solid streams that I get when traveling. Well worth the effort. SiriusXM is way in my rear view mirror now, although I do admit to truing it on when they have their semiannual two week free trials. Hope that helps the regular readers here, and/or anyone that stumbles on this from Bing or Google searches.